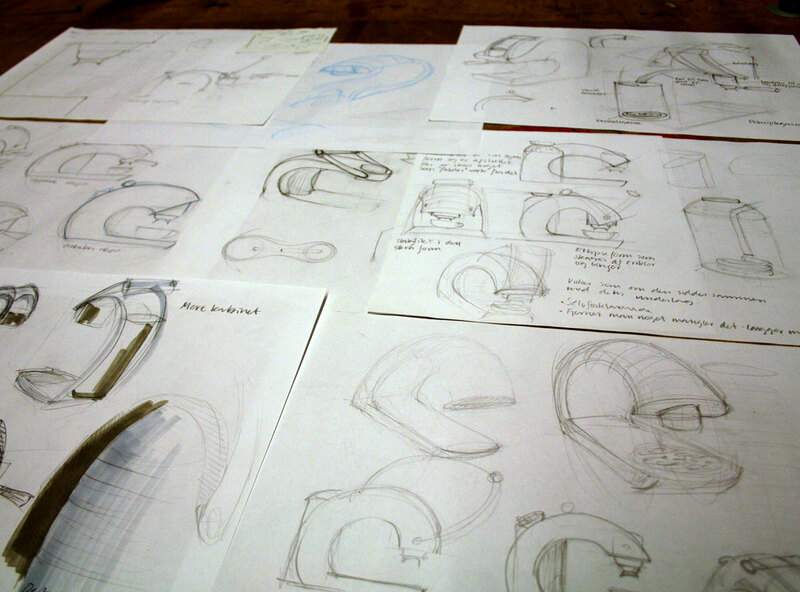 Sketches showing the early ideas. 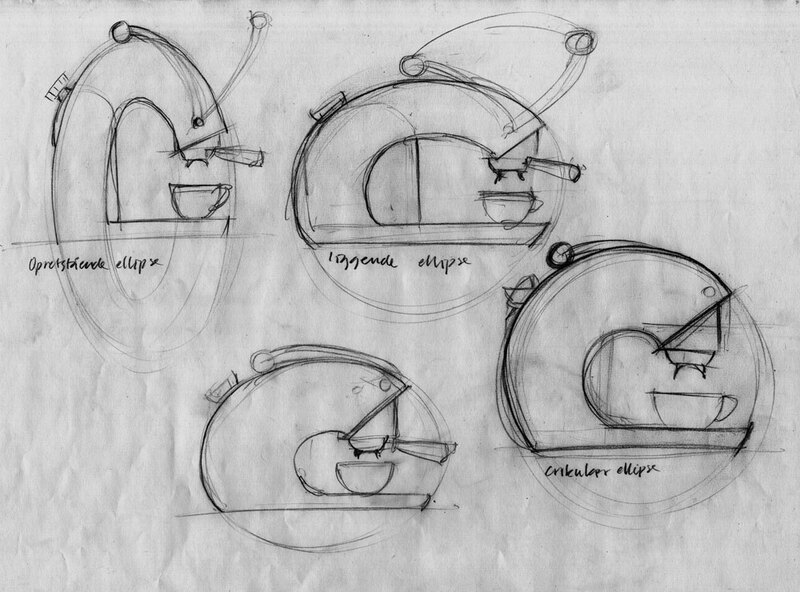 Sketches on the shape generated by the motion of the handle. Refining the machine and the components. 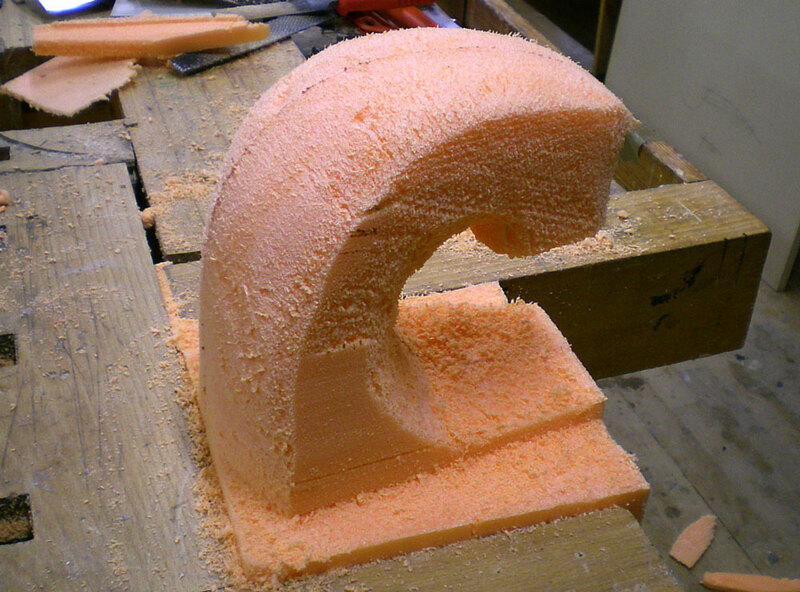 Working with foam models in the workshop. 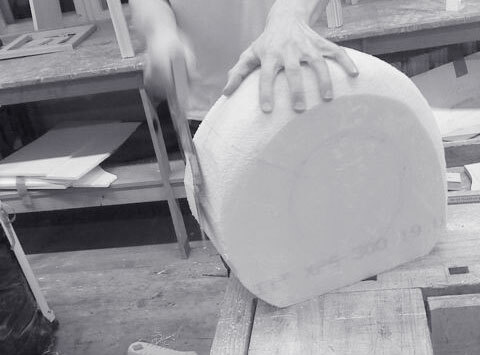 Cutting the foam in hand gives an understanding of the form. 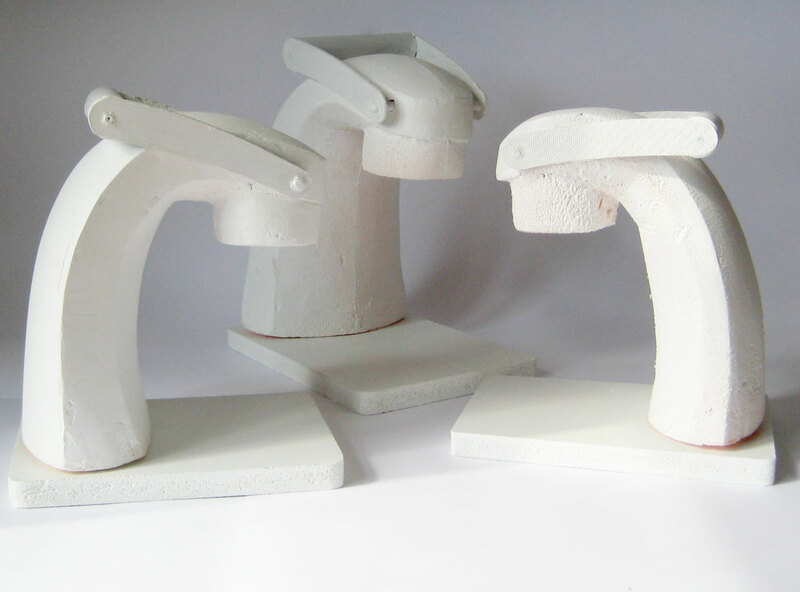 Foam models of the shape - helping to consider the shape. 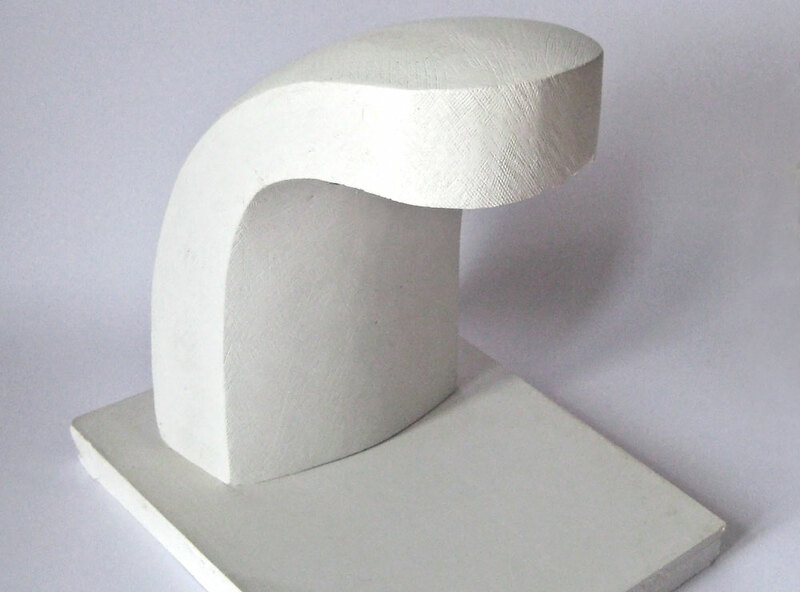 Plaster model - for refining the shape to the limit. 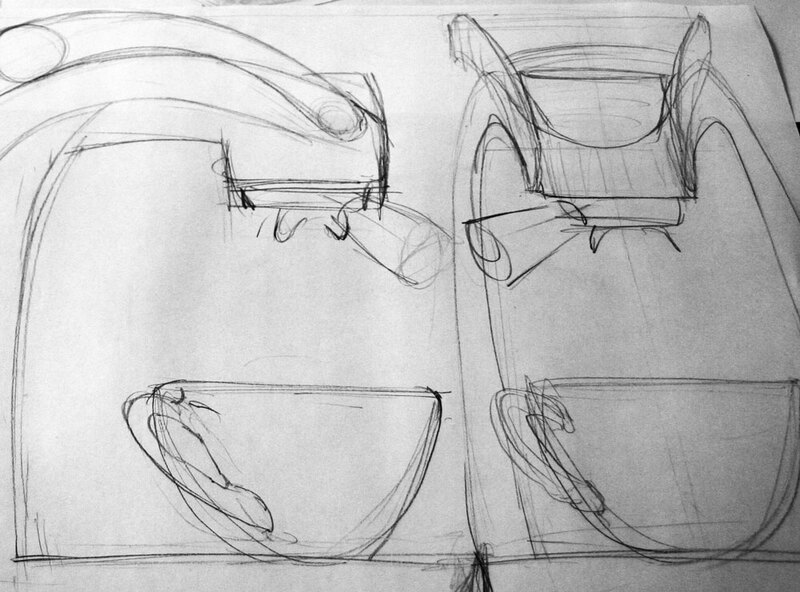 One of the final sketches. Render of the final product. We are busy automating our lives and fill it with energy consuming appliances, which helps us do things faster and easier. I find this problematic because the environment is suffering for our energy consuming way of life. 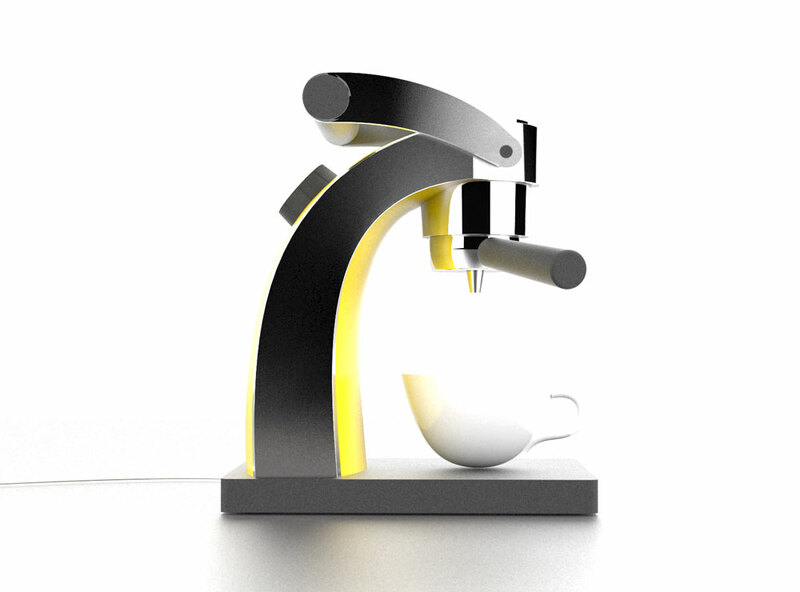 I therefore used this as a starting point for designing an espresso machine that not only uses electricity but also uses the energy we have in our body. 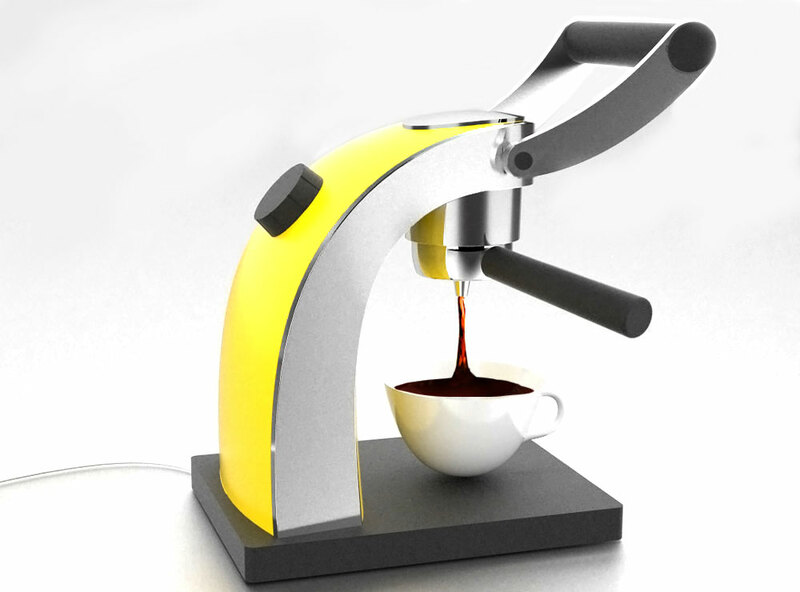 There are being made espresso machines now which are driven by manually pistons and it's this mechanic I will use in my espresso machine. Manual in the sense of instead of having a pump inside the machine to make a pressure, you make the pressure by pulling a handle and using your own energy. 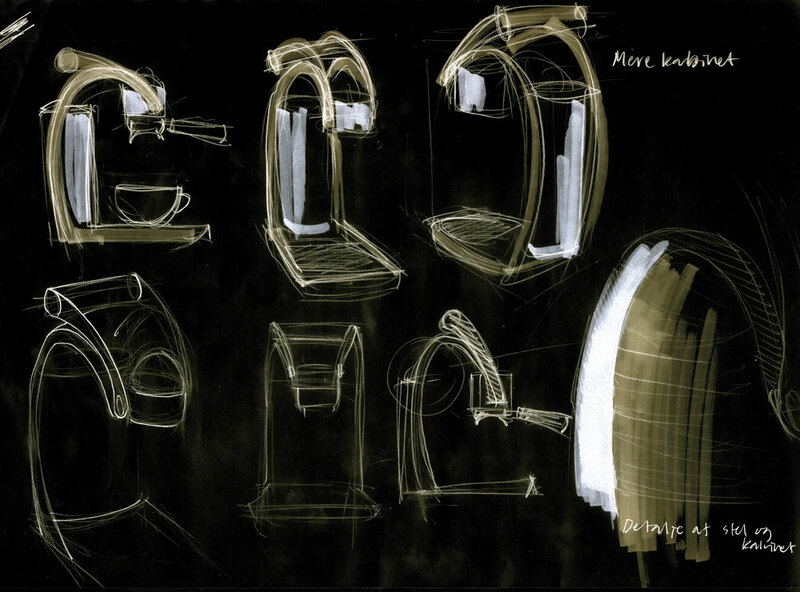 The shape of the machine is inspired by the motion you would make when pulling the handle. I used a lot of time refine the shape in foam models and detailing it.